Optimise Your Business Communications with the Unified Communications Solution from Ericsson-LG iPECS. 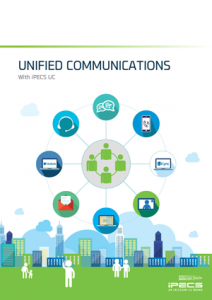 iPECS Unified Communications Solution (UCS) is a powerful multimedia collaboration and productivity enhancing tool designed for small to large enterprises. Its single server architecture helps SMB’s start experiencing the next generation communications solution without investing in enterprise level equipment. The rich features*, capability and the ability to integrate 3rd party solutions are well-suited for large enterprises’ UC environment. * UCS features depend on standard and premium version.